Cheap Blu-ray Movies - Blu Ray, DVD and Technology Bargains! For fans of Amazon’s range of Fire and Echo devices – good news, a new range is now available for pre-order. The most exciting is the new Echo Plus – with a built in smart hub allowing direct connectivity to a range of smart devices without the need for an additional hub. Directly supported are Hive, Philips Hue, Samsung SmartThings, Wemo and TP-Link (plus others). 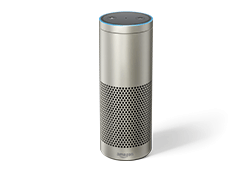 And the new echo comes in a smart silver, as well as the original black and white options. Also available is the all new 4K HDR Fire TV, with a smaller form factor than the original Fire TV but bigger than the Fire TV Stick. Throw into the mix a new “Echo Show” – with a screen – and it’s a strong Autumn (or fall, for the American’s out there!) lineup from Amazon. Amazon launch another “Prime Day” tomorrow, 12th July. Massive discounts exclusively for Prime Members, expect lightning deals throughout the day. Disney BOGOF is back. Again. I’m suffering a major case of Deja Vu – it seems like no time has passed since the last Disney BOGOF. Well, it’s back, you can buy 2 Disney Blu Ray for the price of one at Zavvi. This time, there are some new additions, such as Inside Out and Cinderella. £7.50 for a Disney Blu Ray continues to be a massive bargain, so get in there while you can. We have good news, we have managed to negotiate a better deal which means the site can now cover its hosting costs. So we are officially back! Thank you for all of your kind messages! Almost 10 years ago, an innovative bargain community was born, CBM, focusing on a fantastic new technology called Blu Ray. 10 years later, we have helped save hundreds of thousands of people many millions of pounds on their Blu Ray purchases. But all good things must come to an end. The world has changed, and sites like ours can no longer compete with the cash-back sites and changing viewing habits. We were never interested in becoming rich from CBM; as long as the site covered it’s hosting costs then we were happy to continue. Unfortunately, that is no longer the case. Despite tens of thousands of price searches using our price comparison tool every month, and hundreds of daily unique visitors, we can’t even cover our monthly hosting bill. It’s disappointing when we provide the price search technology, only for the user to then buy through a cash-back site. We get a few pence for every item you buy through the links on our site, and we rely on that revenue to cover our fairly substantial costs. So, it is with regret that CBM will soon be no more. We are immediately halting our advent competitions, and serving notice on our dedicated servers. So feel free to continue to use our price comparison for the rest of December, but we expect to be offline early January 2016. So, thanks for the ride people, and particular thanks to StevieTee, my original partner in crime and site developer. It’s been emotional. Over and out. Advent Competition 2015 – Prize 2! An additional competition entry is awarded if you like our Facebook page or comment on the competition post! Prize 2 – Win INSIDE OUT on Blu Ray! Advent Competition 2015 – Prize 1! Prize 1 – Win Minions on Blu Ray! Black Friday is here and Amazon have stepped up to the plate with some cracking Daily Deals. Amazon Fire TV stick has been reduced to £24.99, the new Fire tablet has been reduced to just £34.99, and the Fire Kids tablet reduced to £69.99. And in Kindle, get the Paperwhite for £79.99. Advent Competition 2015 Coming Soon! Welcome to the CBM Advent Competition 2015! We have 7 top Blu Rays to give away between the 1st and the 14th December. We will post a multiple choice question – to be in with a chance of winning, simply answer the question and you could be a winner! Prizes change every second day. An additional competition entry is awarded if you like our Facebook page, or share / comment on the competition post. We’ll update you again when the first prize is live! 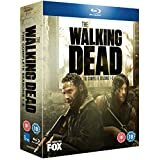 Part of today’s “Deals of the Day”, the first 5 seasons of the awesome “The Walking Dead” are available in one Blu Ray boxset for just £39.99 at Amazon. Day 2 of Zavvi’s deals week is live, with some great deals to be had on consoles, games and Blu Ray. Fancy an XBOX ONE with 4 games (Fifa 16, Forza 6, Tomb Raider and Halo 5) for £309.99? 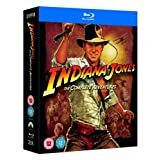 Part of the Black Friday “Deals of the day”, the Indiana Jones Blu Ray boxset is just £12.99. Great price for a must-own boxset!